With the beginning of fall, ministry at most churches kicks into high gear. This is a common rhythm of church life. In fact, all of life is full of rhythm — but too often the competing needs of ministry, personal and family life can create a discordant tune. Finding the right rhythm can prevent burnout and lead to effective ministry. 90% of pastors stated they are frequently fatigued and worn out on a weekly or even daily basis. 77% of the pastors surveyed felt they did not have a good marriage. 75% of the pastors surveyed felt they were unqualified and/or poorly trained by their seminaries to lead and manage the church or to counsel others. This left them disheartened in their ability to pastor. Healthy rhythms lead to happy and effective people. Most people spend more waking hours at work than anywhere else. If you are not engaged and fulfilled in your role, then your whole life suffers. As a leader, you conduct the orchestra. Not only do you need to find your rhythm, you need to help those around you stay in sync with one another and the mission of the church. Creating a connection to the mission and clearing roadblocks for others can be your conductor’s baton that keep everyone’s timing in sync. 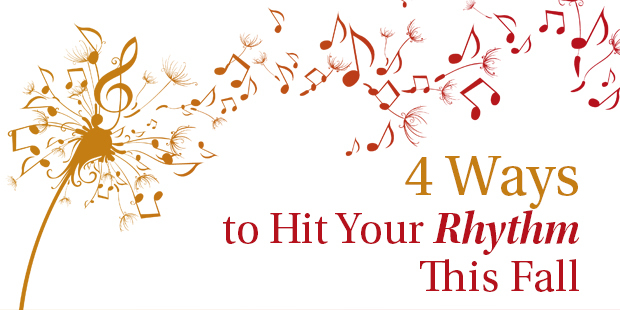 Getting in rhythm is important, but how do we find that rhythm? In full disclosure, I am the farthest thing from a musician; in fact, my kids won’t even let me sing in the car. Despite that, I believe there are four great lessons we can learn from music. 1. Find your tempo. Tempo is a measurement of beats per minute. If you fail to pay attention to the tempo, your song falls apart. Knowing when to speed up and when to slow down is the key. Often the most difficult — but most important — word church leaders can utter is ‘no’. There are constant demands on your time, but ‘doing ministry’ isn’t more important than your personal journey with Christ, your marriage, your family, or your sanity. 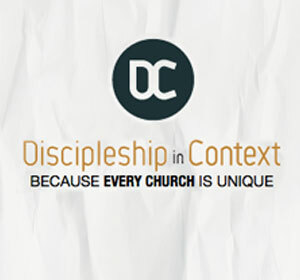 Happy, well-balanced church leaders are far more effective than stressed-out, disillusioned church leaders. Don’t think for a second that your work won’t suffer if your life outside of work takes a back seat. In ministry, your job is not to do it all, which is why Ephesians 4 tells us to equip others. >> Question to consider: How can your equipping strategy help you set a healthy tempo? 2. The Power of Silence. The pace of life often leaves little space for contemplation and reflection, which are central to a healthy Christian walk. Without well-timed silence, music would just be buzzing. There are two types of ‘space’ that I try to build into my life. The first is the margin in my daily life to adjust, alter, or pause my plans as things develop. When the sales clerk unexpectedly shares with me her story of divorce, do I have time to engage, or can I only offer her the obligatory ‘I’m really sorry to hear that’? Or, if my son wants to play catch, can I say yes more often than I say no? Secondly, I try to intentionally build in time for reflection. I call this think/read/write/review time, and I put this on my schedule as a planned activity. In this time I hear from God, reflect on my priorities, and focus for the week. >> Question to consider: How are you building silence into your life, and are you making the most of it? 3. Pitch perfect. We increasingly live in a world of shrill voices and fevered pitch. Beautiful music has high notes, low notes, and everything in between. As a leader, people are often pulling on you to engage in the crisis of the day, but we know that not every battle is worth fighting and you cannot be the hero in every story. In contrast, as a leader, your voice is often the one that is needed to provide context and vision into matters. In what areas could you release control to others who are ready to get off the bench and into the game? God is not depending on you alone to get things done. Knowing when to speak and when to be silent can not only keep your blood pressure in a healthy place, but also prevent you from being distracted from the main focus of your ministry. >> Question to consider: Is this issue you’re facing a distraction, or can you provide direction to the discussion that points back to Christ? 4. Everything in its time. Music is all about timing. You can have the right notes and perfect pitch, but if the timing is off, the song is terrible. Ever heard a comedian with bad timing? Painful. Ministry is no different. Implementing a good idea at the wrong time can have disastrous consequences. Making good decisions requires more than gut instincts; it requires good information. In order to strike while the iron is hot, you need good data to act upon. This will save you time and heartache. >> Question to consider: How are you making your ministry decisions — on intuition or on data? Few people have had better rhythm than John Coltrane. He said, “My music is the spiritual expression of what I am — my faith, my knowledge, my being.” Finding your rhythm requires setting the appropriate tempo, leaving space between the notes, hitting the right pitch, and good timing. Finding your rhythm helps you live a song worth playing. In what ways are you modeling a healthy rhythm in your life?